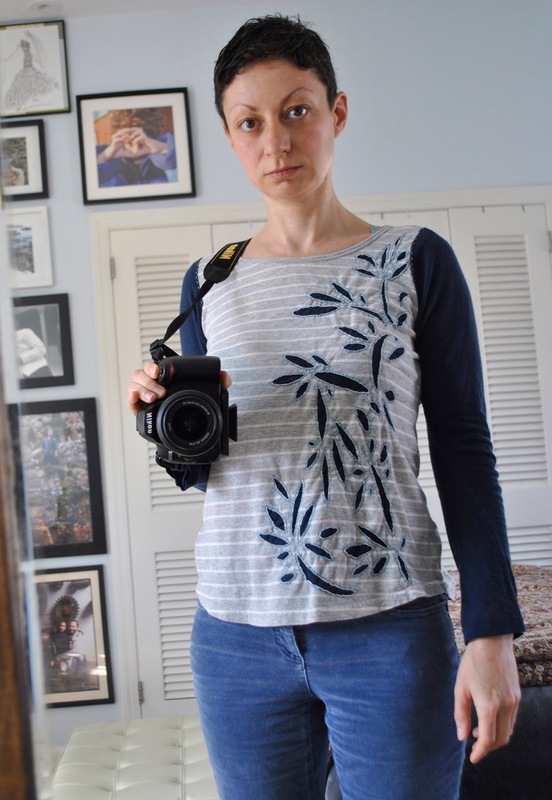 I may be just very slightly extremely into the beautifully embroidered hand-sewn clothes made by the folks at Alabama Chanin. Their designs are detailed without being fussy, ornate but still casual. In an alternate life, I'm wearing that stuff head to toe every day. 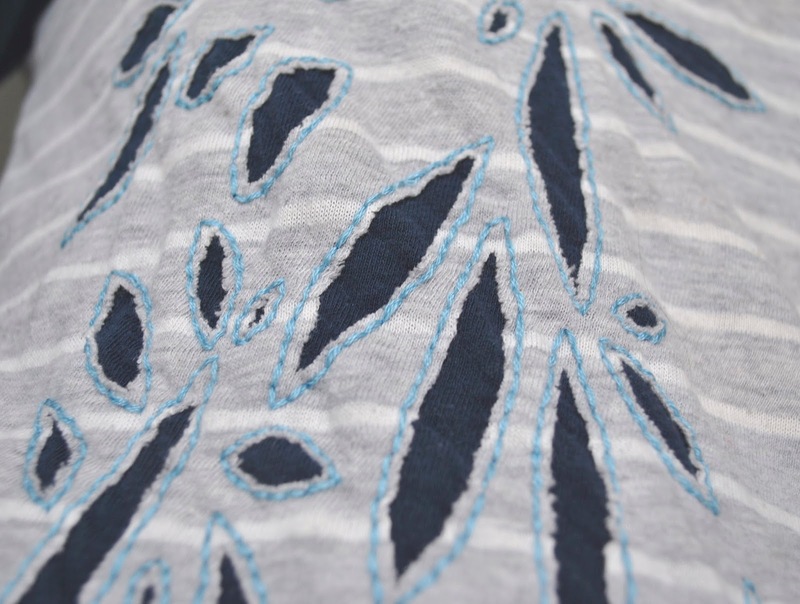 This effect relies on the non-raveling nature of knit fabric, and is achieved by first embroidering the outlines of a design into two layers of jersey, and then cutting the top layer away to reveal the one underneath. 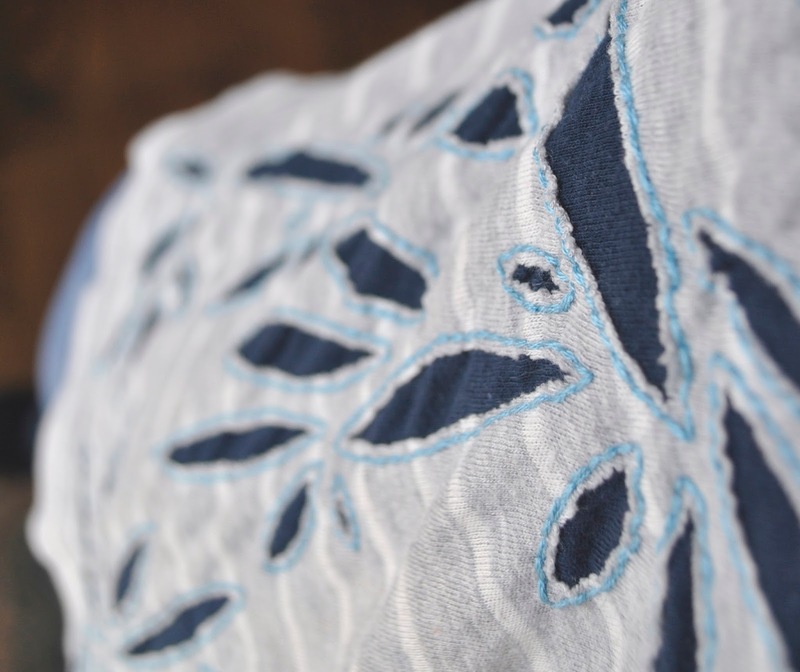 I used embroidery floss at half thickness (meaning, I separated the six strands into three and three) and sewed a backfilled running stitch around a design I drew freehand with a super thin marker. Were I following the Chanin technique to the letter, I would have painted my stencil with fabric paint first, which would have remained as an outline next to the embroidery. But I didn't have any fabric paint on hand and just wanted to play.